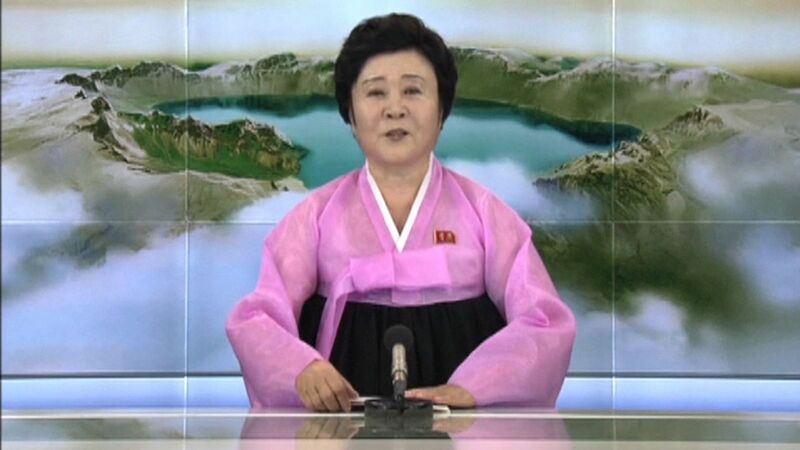 Who Is Ri Chun Hee, The North Korean Nuclear Newsreader Whose Words Shake The Rest Of The World? North Korea has always been in the news for the wrong reasons when it comes to its relationship with the rest of the world. Described by the rest of the world as the rogue state, North Korea has always been notorious when it comes to its nuclear policies. Last week, the country announced it has tested a hydrogen bomb five times more powerful than the device dropped on Nagasaki during the Second World War. This announcement was made by 74 year old Ri Chun Hee, the news reader who has always made such announcements on state television. The news reader retired in 2012 but to return to the screens to make such huge announcement shows how powerful she is. But who is this news reader who could send shivers down the spine of many super powers including the US? Now 74, Ri Chun Hee is said to have been born to a poor family in Tongchon county in 1943. She studied performance art at Pyongyang University of Theatre and Film, first appearing on state broadcaster KCTV in 1971. By 1974, she was the station’s chief news presenter, and handled the official declaration of the deaths of former leaders Kim Il Sung and Kim Jong Il. She was seen crying or holding back tears on both occasions, a departure from the thunderous tone she is best known for outside North Korea. Ms Chun Hee’s career is unique in its longevity – long outlasting those of others who worked for KCTV but were demoted or purged. She retired temporarily in 2012, but appeared again four years later to announce a missile launch and has been back on screens regularly since. But what will happen when Ms Chun Hee steps down for good? The grandmother – who lives with her family in relative luxury in Pyongyang – is said to have turned her focus away from the cameras. Instead, she is working on training the next generation of North Korea’s newsreaders. “Many anchor women now are very young and beautiful and are more suitable to appear before the viewers,” she said.